- Precision CNC milled & using high quality Hybrid Ceramic Bearing. - Beautifully crafted and perfectly weighted. - Spinner can create a spin for up to 5 minutes. - Tightest tolerances allows perfect balance and smooth spinning with minimal friction. - Convenient and pocket-sized. Designed for people who like to keep their hands occupied to calm their nerves and/or increase their aptitude for mental clarity. - Quiet and discrete. 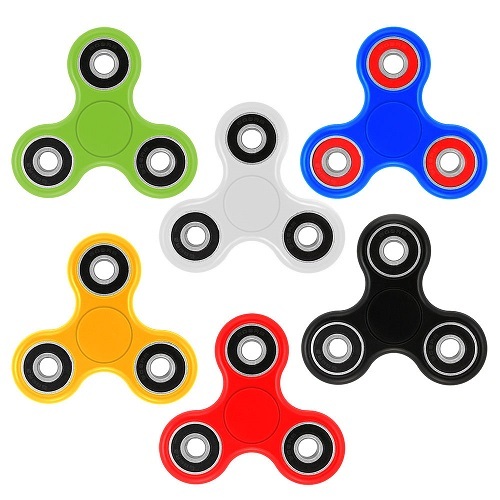 Instead of resorting to habits that can annoy other people (like drumming one's fingers on tabletops or repeatedly clicking a pen), fidget spinners can be used to fidget without annoying others. - Excellent calming devices for general users, and great for people with ADD / ADHD or autism, as well as for people trying to quit any habits.